In herbal medicine we use the dried roots of Licorice, a graceful, long lived plant that grows to about one meter in warm climates. Licorice spreads its lance shaped leaves out during the day to catch the sun and then lets them hang down at night to rest. The roots of Licorice are brown, long and cylinder shaped. They have lengthwise corky fibres, are coloured from white to yellow and are profoundly sweet to taste. 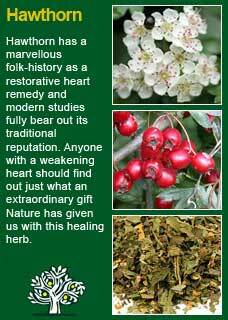 Medicinal Licorice has been used for many centuries as an agent to soothe, heal and tonify. It is probably the most important herbal medicine for ulcers of the mouth, stomach or duodenum and it is hard to imagine a herbal cough medicine without at least some Licorice in it. Licorice features prominently in the first great Chinese herbal, the Pen Tsao Ching (Classic of Herbs) and Chinese medicine has used Licorice as a remedy for strength and long life for thousands of years. 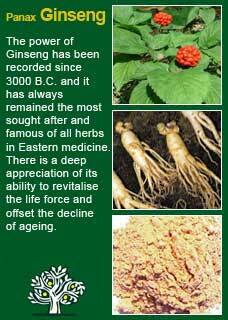 Today it is still found in most Chinese formulas, in large part because it is seen as the ‘ambassador’, the herb that helps the other herbs to harmonise with each other and within the body. Licorice was carried by the armies of Alexander the Great to allay thirst and provide endurance. It was similarly carried by Roman soldiers all over Europe. 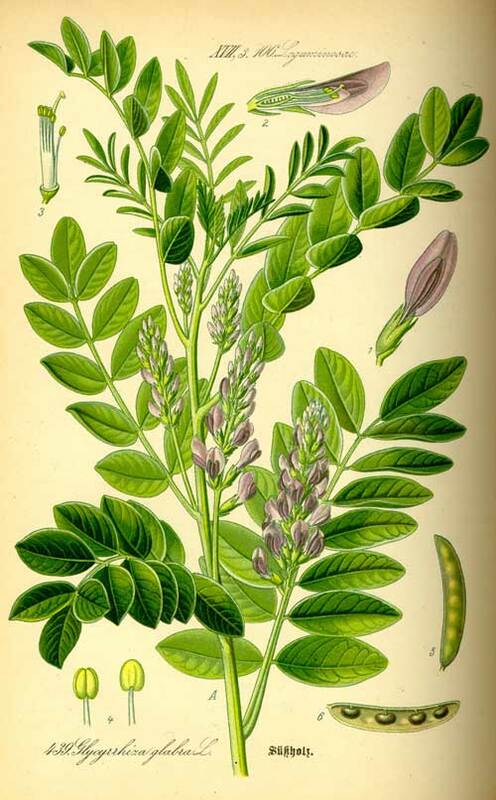 German abbess/herbalist St Hildegard of Bingen prescribed Licorice for stomach and heart problems and it was frequently mentioned in German and Italian herbals from the 14th and 15th century as a cough and respiratory remedy. Nicolas Culpeper wrote 'Licorice is a fine medicine, for those that have a dry cough or hoarseness, wheezing or shortness of breath, phthisis (tuberculosis), heat of urine and griefs of the lungs'. Thomas Bartram writes that Licorice's actions are 'demulcent, expectorant, glycogen-conserver, anti-inflammatory, adrenal restorative, (having glycosides remarkably similar to the body steroids), regulates salt & water metabolism, anti-stress, anti-ulcer, antiviral, liver protective & anti-depressive. 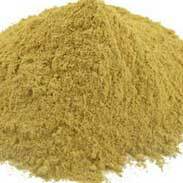 Bartram suggests it may be used for adrenal insufficiency, sodium retention properties useful for Addison's disease, hypoglycaemia, peptic ulcer, inflamed stomach, mouth ulcer, duodenal ulcer, respiratory infections, dry cough, hoarseness, bronchitis & lung troubles. Bartram suggests doses of 1-5 grams up to 3 times daily. Half to one tsp of the dried herb simmered in decoction for 15 minutes or 2-5mls of the liquid extract. The British Herbal Pharmacopoeia (BHP) describes Licorice's actions as expectorant, demulcent, spasmolytic, anti-inflammatory, adrenal agent & mild laxative and says it is indicated for bronchial catarrh, bronchitis, chronic gastritis, peptic ulcer, colic & primary adrenocortical insufficiency and specifically indicated for gastric or duodenal ulcer & Addison's disease. 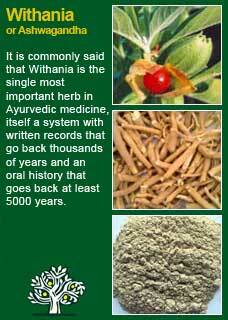 The BHP suggests a dose of 1-4 gms or by decoction and recommends 2-5mls of the liquid extract up to 3 x daily. ~ There have been numerous clinical and laboratory studies into Licorice, the majority of them focusing on a substance called glycyrrhizin that is about 50 times sweeter than sugar and has a powerful cortisone-type action in the body. Licorice extract in quite high doses demonstrated a dramatic effect in maintaining electrolyte balance in patients with Addison's disease. (Borst JGG de Vries LA, Holt SP et al. Lancet 1953; 657-663). Licorice extract may also be of benefit in the treatment of Parkinsons disease and Graves disease although this has not been scientifically investigated so this recommendation is based on anecdotal evidence of benefit. Aside from several key areas of caution, much of the worry about the safety of Licorice is unnecessary and, when used with care and respect, Licorice is an extremely safe herb to use for the young and old, during pregnancy or whilst breast-feeding. 'Use with care' is largely a matter of simply not taking too much of it! 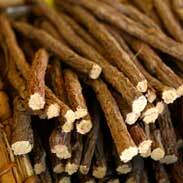 The World Health Organisation (WHO) recommends a safe daily dose of Licorice to be between 5 and 20grams of Licorice root a day (equivalent to 200-800mg of glycrrhizin) but this is already much higher than the amounts we typically use in herbal medicine, even in quite robust treatment programs, which at the higher end equate to not more than 3 or 4 grams a day of the dried herb in a concentrated liquid form, often considerably less than that when using Licorice within a formula of other herbs. Most people will need to take between 20 to 30 grams a day before they are at risk of side effects from Licorice. That said, a person with high blood pressure, impaired kidney function and/or who had a high salt diet could potentially get some adverse responses to Licorice with as little as 5 grams a day. 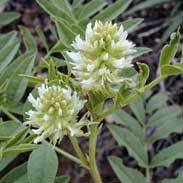 All that said, for some people it can be seen that even small amounts of Licorice will increase their blood pressure and, if a person has a history of high blood pressure, then I will be unlikely to use Licorice root just in case it could do some harm. However, if there were some compelling reasons to use Licorice (e.g. a bad cough, an inflamed stomach) then I would still be willing to take a 'try and see' approach whilst carefully monitoring their blood pressure or whether they began to retain fluid. 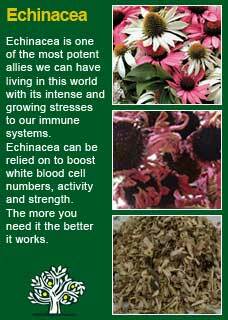 This can be done safely with home blood-pressure monitors and some education about the plant. This may or may not be a good thing depending on why the drugs are being used but there would be an expected increased risk of side effects from the drugs in this situation. 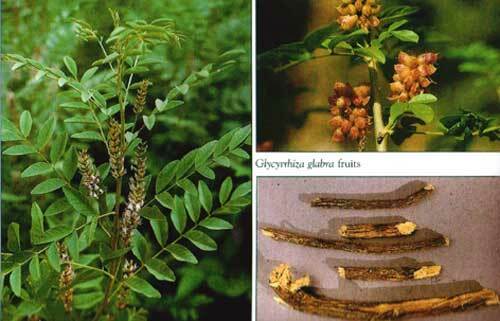 Using substantial doses of Licorice with a person who is using drugs that contain cardiac glycosides could increase the risk of hypokalemia (low potassium levels), likewise for a person who is taking diuretics such as chlorothiazide (Diuril), chlorthalidone (Thalitone), furosemide (Lasix), hydrochlorothiazide (HCTZ, HydroDIURIL, Microzide). Licorice seems to increase metabolism and decrease levels of warfarin in animal models. This is likely due to induction of cytochrome P450 2C9 (CYP2C9) metabolism by licorice. There is something about Licorice that helps other herbs to blend together in the body and get to where they need to go. 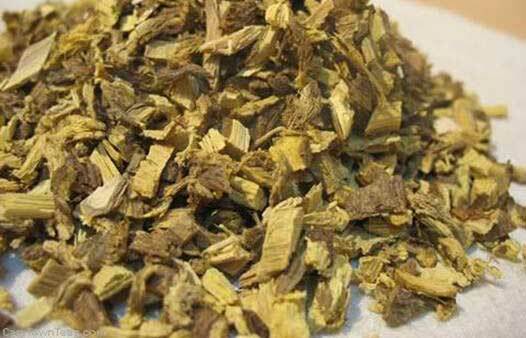 The Chinese appreciation of it as the 'Ambassador' herb is not just a whimsical folk-tale. You can feel how it has a harmoning effect in the formula and you can see it in action when you make a mixture in a glass cylinder and then add the Licorice last whereby all the other herbs suddenly blend together. My primary use for Licorice is as a harmonising herb in formula but I also very much like it as a tonic for the adrenals and the immune system and as a gently cleansing, soothing, healing herb for the gut and the respiratory system. If you who are reading this are studying herbal medicine or if you just want to understand this great plant ally at a much deeper level for your own reasons then I warmly encourage you to undergo the ancient way of learning the 'action' of Licorice by taking a small dose of it and then, with a quiet and attentive mind, observing how it feels within your body. Doing this for myself and also with my family and many others I see that Licorice actually has a calming effect. I have often given just a few drops of Licorice extract to my children when they are agitated and upset, and the relaxing action is almost immediate. 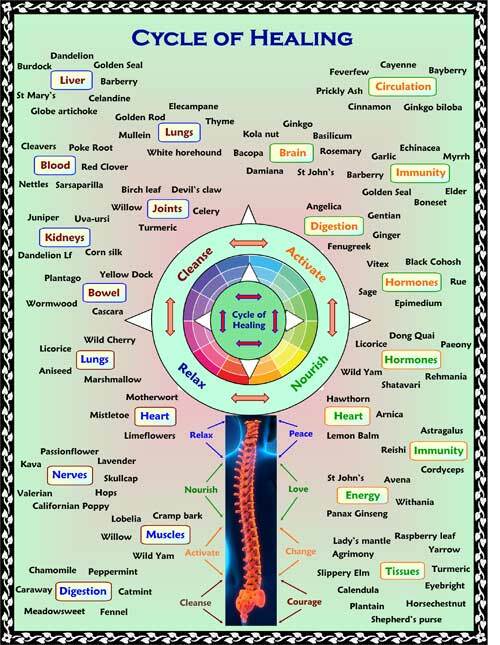 If you do this experiment I think you will be able to feel for yourself how the action of Licorice goes all the way to the centre of our stress responses; our adrenals, and that the experiential understanding of that will give you a very practical rationale for why it helps so many people who are working through the stress that comes with being unwell. Licorice has a whole-body tonic effect, the immune system, the energy levels, the nerves, the digestion, the liver function, all improve, often significantly, with a little bit of Licorice root extract every day. Someone taking Licorice as a herb for the first time should know that it does tend to have a gentle cleansing action on the liver and consequently, whilst it is not a laxative, people often notice increased elimination when they take Licorice extracts. Licorice combines perfectly with many herbs, just a few examples include Echinacea, Ginseng, Hawthorn or Withania to make strengthening tonics for the immune system, the heart, the adrenal glands and the nerves. Much of the information here about the traditional uses of Licorice is consistent with the model of thinking whereby one may treat problem A with plant B. There is value in this approach, especially in how it helps us pass on useful knowledge to one another, but it falls short in one vital area; and that is that people are not all cut from the same cloth! Something that works brilliantly for one person may do less for another -- why is this?